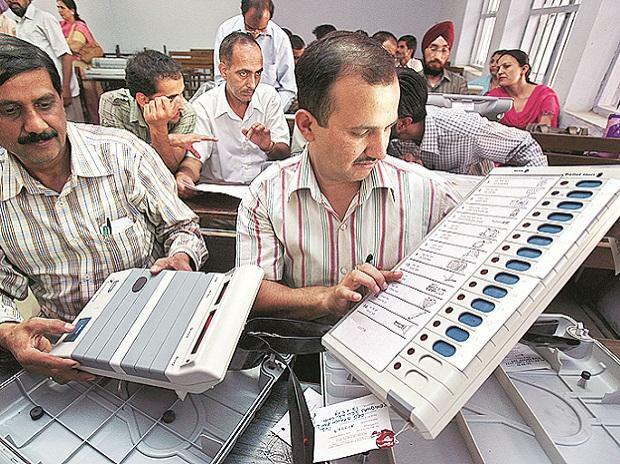 The electoral fate of over 8,500 candidates of five states which went to polls recently is sealed in over 174,000 EVMs which will be opened Tuesday. The maximum 65,367 machines were used in Madhya Pradesh. A little over 8,500 candidates were in fray in the five states with 2,907 in Madhya Pradesh. ALSO READ: Assembly elections 2018: Can 'Modi magic' be saved? These five Assembly elections would be crucial for the BJP as it gears up for the Lok Sabha election next year and is in power in three of these states Rajasthan, Madhya Pradesh and Chhattisgarh. While the Congress is in power in Mizoram, Telangana Rashtra Samithi ruled Telangana before the Assembly was dissolved.